Home / Unlabelled / 3RD PHASE OF ANAMBRA COMMUNITY DEVELOPMENT INITIATIVE. 3RD PHASE OF ANAMBRA COMMUNITY DEVELOPMENT INITIATIVE. 1. The Anambra State Government would like to inform the Presidents General and Traditional Rulers in the 179 communities in the state as well as all other stakeholders that it is about to launch the third phase of the N20million Community-Choose-Your-Project Initiative. Governor Willie Obiano has already set aside N20m for each of the 179 communities, amounting to 3.58 billion naira, for this phase. 2. Communities which have yet to complete the 2nd phase will, however, not participate in the third phase. The government observes that only 78 communities have completed the 2ndphase and are, therefore, ready to start new development projects in the third phase. 3. It is regrettable that about 50% of communities have yet to finish the 2ndphase on account of mostly communal politics and squabbles. The internal politics and squabbles are slowing down the progress of not only the affected communities but also the entire state. 4. 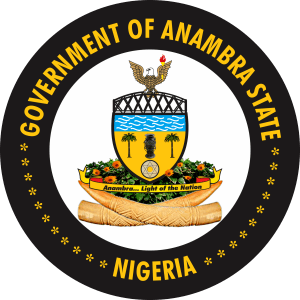 The Anambra State government is in a hurry to develop all communities in the state. Consequently, it is appealing to all Presidents General, Ndi Igwe and other stakeholders in the communities to ensure that their communities are not left behind. We call upon them to resolve their problems immediately and complete the 2nd phase of the Community-Choose-Your-Project Initiative. 5. The people and government of Anambra State are proud of this initiative which has brought concrete development to every community. It has been copied by some other states. 6. The Community-Choose-Your-Project Initiative is an unprecedented development strategy by the Anambra State Government through which each of the 179 communities in the state selects a project it wants the government to execute for it worth N20m. The community even chooses the contractor who must come from the area while the government provides the resources. Communities have chosen libraries, civic centres, health centres, markets, water boreholes, etc. 7. The strategy has earned praise from researchers and development experts as a perfect example of the bottom-top approach to development which is recommended in the democratic setting, as opposed to the traditional top-down style which sees top government officials decide projects for communities without bothering to find out what the communities actually want or need. 8. Once again, the Anambra State Government thanks all the communities in the state for participating effectively in the first phase of the development initiative and enjoins those still battling with the second phase to finish them immediately, so as to participate in the third phase. The government is grateful to all the Presidents General, Ndi Igwe and other stakeholders in the communities for their noble roles in the government’s determination to make the state remain exemplary in development.